Well, hello there! Do you happen to have the time? 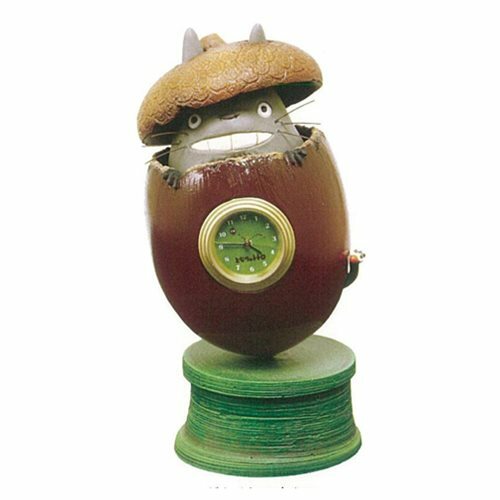 A mini clock is encased in an acorn, and Totoro is peeking his face out from the inside of this delightful My Neighbor Totoro Acorn Clock. Made of polyester resin, its clock requires a battery, just like a quartz wrist watch. This clock is a must have for Studio Ghibli and My Neighbor Totoro fans. Ages 15 and up.